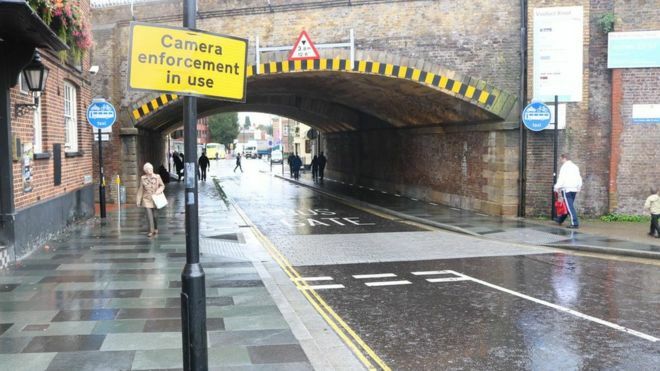 An Essex County Council spokesman said: "Before turning on enforcement cameras in 2017, we increased signage at all junctions, sent more than 3,000 warning notices and painted the words "BUS GATE" in five-foot high letters on the road at both entrances to help make drivers aware of the restrictions." A psychologist fined for driving through a bus gate has won her appeal after arguing there were too many signs for the brain to process. Bernadine King's penalty charge notice (PCN) was quashed after a tribunal ruled signage was "inadequate". Essex County Council has taken £1.5m after 54,000 drivers were fined using the Chelmsford bus gate in 18 months. It said the PCNs had seen the number of people using the gate "reduce to less than a quarter" of the figure before. Dr King - who has published several academic papers on how people process visual information - said the bus gate, a short section of road blocked off to all traffic except buses, cycles and taxis, was "endangering lives". "Once you're committed to turn left on Duke Street, you have no way of safely turning around," she said. "Drivers are being trapped in the area and they're panicking. "There are so many signs by the bus gate but a little contradiction in the brain means we cannot absorb all the information. "To consciously process all the information, it may take a few seconds and by that point, you've already travelled 20ft or 30ft down the road." 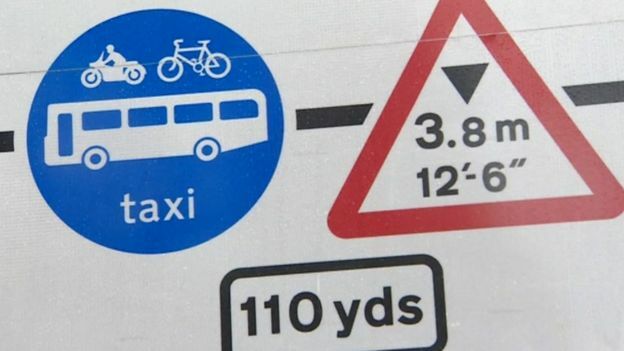 After visiting the site, the traffic penalty adjudicator said that although some of the signs by the bus gate were large and easily visible, they were "cluttered" together and meant "drivers could be confused". 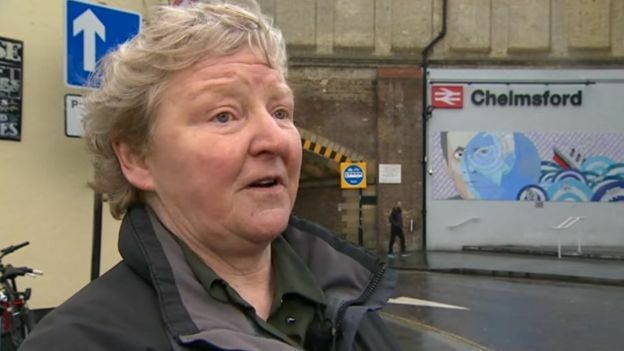 Dr King, who received her PCN in November, is now calling on the council to carry out a safety review of the bus gate, which she called "a blight on Chelmsford". He added that all money generated by fines was "reinvested to help improve public transport, roads and the transport network across Essex".